There are several ratios that show gold is undervalued compared to other asset classes. Gold fundamentals are close to the bull market on the capital cycle. The main question is not if but when will next gold bull cycle start. I would like to point to factors that have the strongest correlation with gold. Cameron Crise, a macro strategist with Bloomberg, conducted a research on 25 years spanning 1990 and 2015. One of the key findings is gold has strongest correlation with negative real US yield, followed by central bank gold purchase, industrial metal sector, equity volatility and weakness in the dollar. Negative real US yield or real interest rates are nominal interest rates minus inflation expectations. US CPI is at 2.5 per cent and the 2-year Treasury yield is at 2.7 per cent. So, there is positive real US yield. Negative interest rates are a perfect environment for gold. Gold also performs well as a hedge against a crisis. 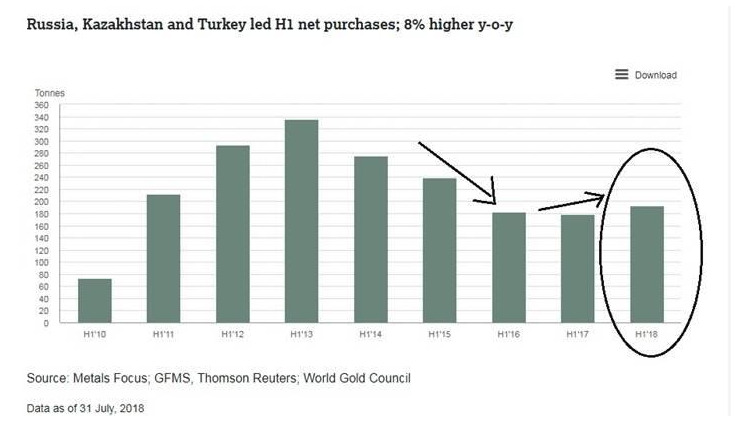 As we can see, gold has given positive returns when there is a global crisis and has served as a good hedging tool. Gold usually performs well on a very long term. If we look at the last 21 years, gold has beaten even S&P 500 ETF. The opportunity cost of holding gold is short term real interest rate. The primary driver of gold is real interest rates. Real interest rates as stated above are the nominal interest rate minus inflation or inflation adjusted risk free rate. Rates are calculated based on real yields on Treasury Inflation Protected Securities (TIPS). The Fed is expected to raise rates in December and if they signal that rate hikes are done, short-term rates may fall in an attempt to price out any future increase, which is a positive for gold. 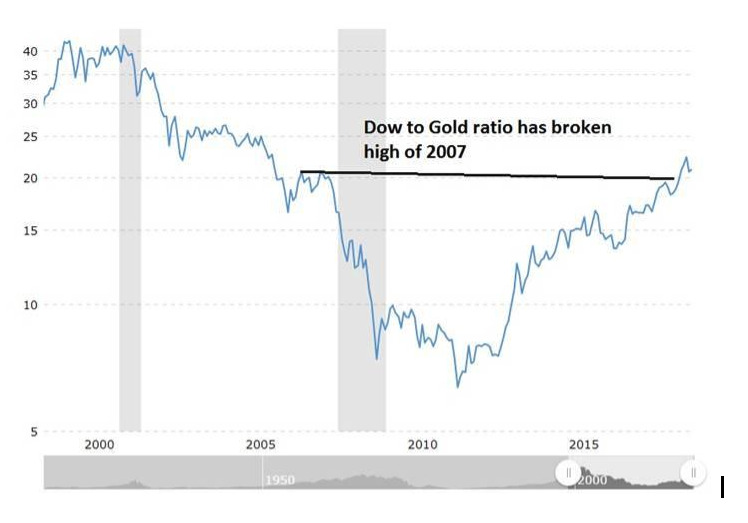 The US Dow to gold ratio has broken the 2007 level and is getting closer to pre-financial crisis of 2002-06. S&P 500 to gold ratio also paints the same chart. Equity to gold ratio is high. So, either there will be a possible correction in the equity market or gold bull market will start. We all know central banks, especially from emerging markets, are taking advantage of weak gold prices and increasing their reserves. Russia, China, Poland, Kazakhstan, Turkey and to some extent India have increased their gold reserves this year. Gold still has headwinds with short-term rates expected to keep increasing and inflation being moderate due to low oil prices. Gold bulls will need the Fed to halt its raising interest rate programme to see a major reversal in the price of gold. Once the Federal Reserve ends the tightening cycle, the time to buy gold will be near.